It is no secret that one of the best ways to earn miles and points is to use credit cards. People that I talk to about miles and points are amazed at I have more than one credit card in my wallet on a daily basis. I try to explain to them that each one has a purpose and their amazement turns into disbelief! Here is what credit cards are in my wallet for Winter/Q1 2019. This page contains referral links, not affiliate links, and I have no business relationship with any of the credit card issuers in this page. Using these links is completely optional, but it does help support us. It is greatly appreciated if you do. Unless noted, the non-referral/public offer is the same as what you would get using these referral links. This is one of those cards that has the rotating categories. For this quarter, this card will earn you 5 points per dollar spent at gas stations, tolls and drugstores. The only caveat is that you have to remember to register for each quarter’s bonus – though it only takes about 15 seconds. The current sign up bonus for this card is 15,000 points (worth at least $150) after spending only $500 in the first 3 months and has no annual fee. I can buy gift cards at most drugstores and essentially get 5 points per dollar everywhere. Getting 5 points per dollar at gas stations without getting gas cards at a drugstore is also very convenient. 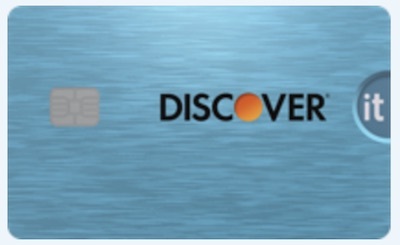 The Discover It card is another card that has rotating quarterly categories that earn 5% cash back. In Q1 2019, the category that earns 5% is grocery stores. This is somewhat self explanatory – I have to get my food from somewhere so I can eat. Also, I’ll get gas points with the supermarket’s loyalty card so my gas will be cheaper as well. 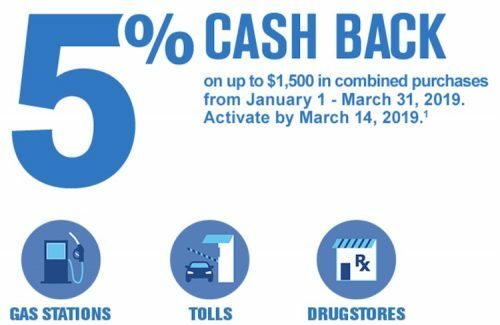 Click here to apply for the Discover It – it’s an easy $50 in your pocket! I personally love getting 3 points per dollar on dining and travel. It does have a high annual fee at $450. With great cost comes with great benefits – not just the earning rate on dining and travel. Just to name a few of the benefits: $300 annual travel credit (this is automatic and is per calendar year), Priority Pass lounge membership, Global Entry credit and much more! Best of all you can transfer the points (usually at a 1:1 ratio) to over a dozen airline and hotel programs. I realize that the $450 annual fee might dissuade you. Doing the math, I feel like it has tremendous value because of the $300 annual travel credit – it’s just like paying $150. 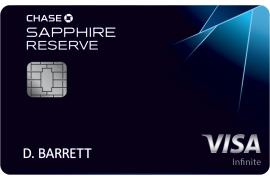 The sign up bonus for this card is 50,000 points (worth $650) after minimum spend of $4000 in the first 3 months. This bonus plus the annual travel credit makes you $800 in the first 12 months of having this card! The 3 points per dollar on travel and dining is great if I can’t get an appropriate gift card at a grocery store, as I mentioned above. This credit card is my go-to for my everyday spend that doesn’t fall under a bonus category with the Freedom and Sapphire Reserve. It is pretty straight-forward and earns 1.5 points per dollar with no annual fee. 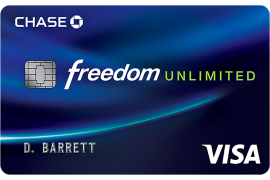 If you don’t want to deal with having to remember to register every 3 months or want a card with an annual fee, I recommend the Freedom Unlimited. Currently, the sign up bonus for the Chase Freedom Unlimited is 15,000 points (worth $150) after spending $500 in the first 3 months and has no annual fee. In the event that I can’t get an appropriate gift card using the Chase Freedom and it isn’t a travel or dining expense, this is my highest earning card at 1.5 points per dollar. I can help! 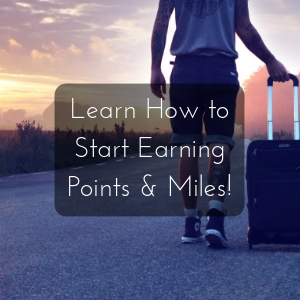 I made an e-course to help people like you get started earning miles & points. Check it out at ThePointsCurator.